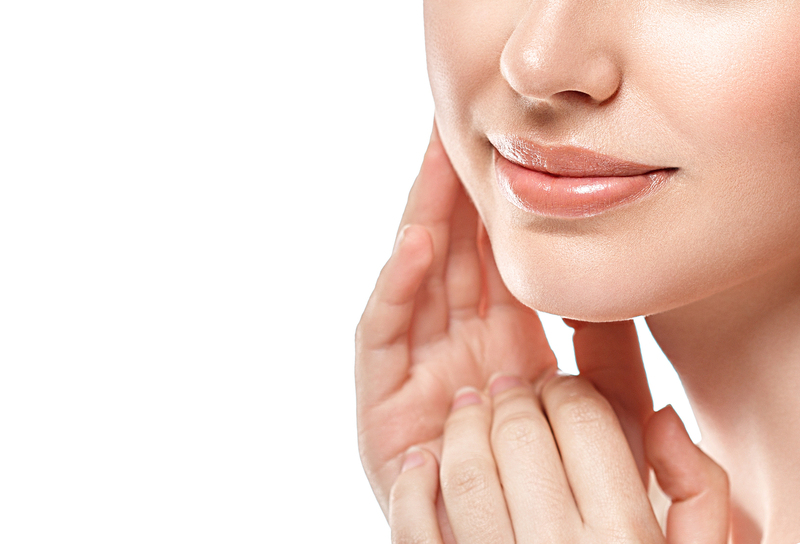 Which Chin Augmentation Procedure Is Right for You? The right chin augmentation procedure depends on the patient and his or her desired facial rejuvenation treatment results. Dr. Babak Azizzadeh of the CENTER for Advanced Facial Plastic Surgery is a globally recognized facial plastic and reconstructive surgeon, and he learns about each patient and his or her chin augmentation goals. With this approach, Dr. Azizzadeh crafts a personalized chin augmentation treatment designed to deliver the best-possible results. Enlargement: Azizzadeh uses chin implants to supplement the existing bone at the front of the jaw between the teeth. Reconstruction: Azizzadeh reconstructs the chin; this procedure is used to repair a broken, dislocated or fractured jaw. Liposuction: Azizzadeh removes fat from the chin to help a patient improve his or her jawline and facial appearance. Reduction: Azizzadeh removes excess chin bone or moves the jaw bone. This helps a patient achieve a soft, natural-looking facial appearance. Augmentation: Azizzadeh inserts a surgical implant in the front of the chin bone and moves the jaw. This helps a patient reduce the appearance of a weak chin. Dr. Azizzadeh recommends a chin reduction if the chin is too prominent. He uses the procedure to shape the lower jawbone, resulting in an enhanced facial appearance. Direct Reduction: Azizzadeh uses a burr to remove excess bone from the chin. Sliding Genioplasty: Azizzadeh cuts excess chin bone and moves the bone backwards. Then, he uses metal screws to hold the chin bone in place. If a patient’s chin is not proportional to his or her nose, eyes or other facial features, Dr. Azizzadeh recommends chin augmentation. This procedure enhances the size of the chin and involves the use of autologous bone from a patient’s pelvis or rib. Or, Dr. Azizzadeh uses a chin implant that consists of synthetic materials. Dr. Azizzadeh determines which type of chin implant can help a patient improve the facial appearance during an initial consultation. Various procedures may be performed in combination with chin augmentation. In some instances, Dr. Azizzadeh recommends sliding genioplasty and chin augmentation procedures be performed at the same time. Comparatively, Dr. Azizzadeh may perform a chin augmentation in combination with a rhinoplasty or lip augmentation procedure. Regardless of whether a patient requires chin reduction or augmentation surgery, Dr. Azizzadeh takes a holistic approach to all facial rejuvenation treatments. He understands the face should be viewed as a whole, and together, all of a patient’s facial features contribute to his or her overall facial appearance. Dr. Azizzadeh always takes a holistic approach to facial plastic and reconstructive surgery, and he ensures any procedures help a patient bring balance to the whole face. Dr. Azizzadeh also understands chin reduction and augmentation are complex procedures. As such, he strives to answer any surgery questions. He provides honest, unbiased treatment recommendations and is happy to help a patient weigh the pros and cons of different surgery options. To find out more about chin reduction and augmentation, please contact us today at 310-657-2203 to schedule a consultation with Dr. Azizzadeh.